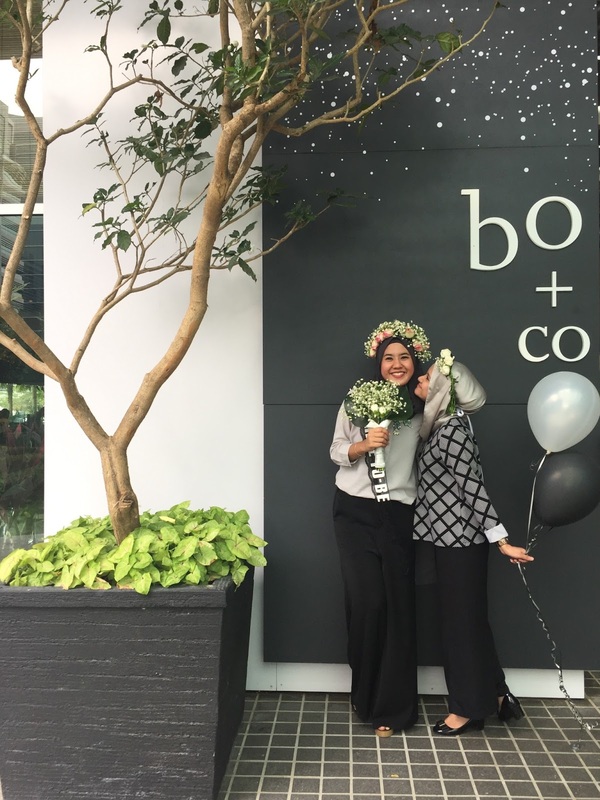 For Nazlin's bridal shower , we decided to choose a monochrome and grey theme . 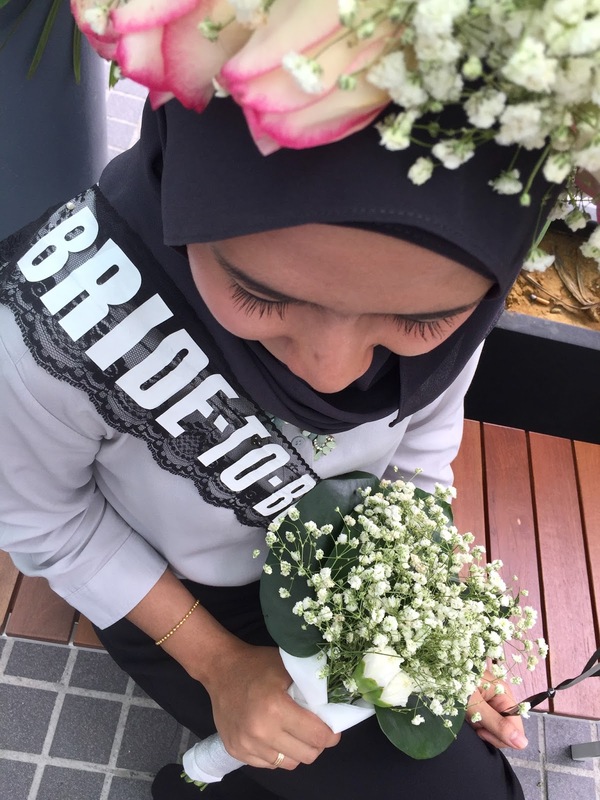 That's the reason I use lots of white flowers for the flower crowns . 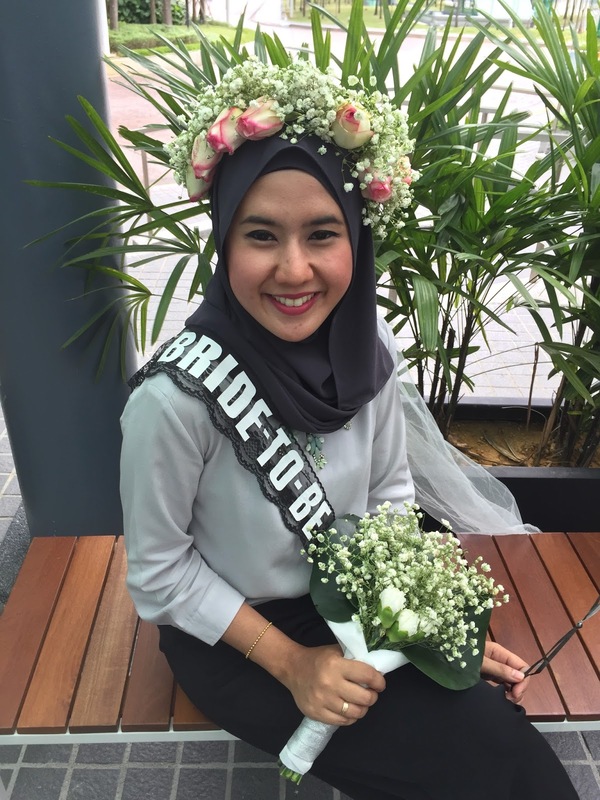 Only for Nazlin crown , I use a touch of little bit pink roses to make her looks more outstanding as bride-to-be . 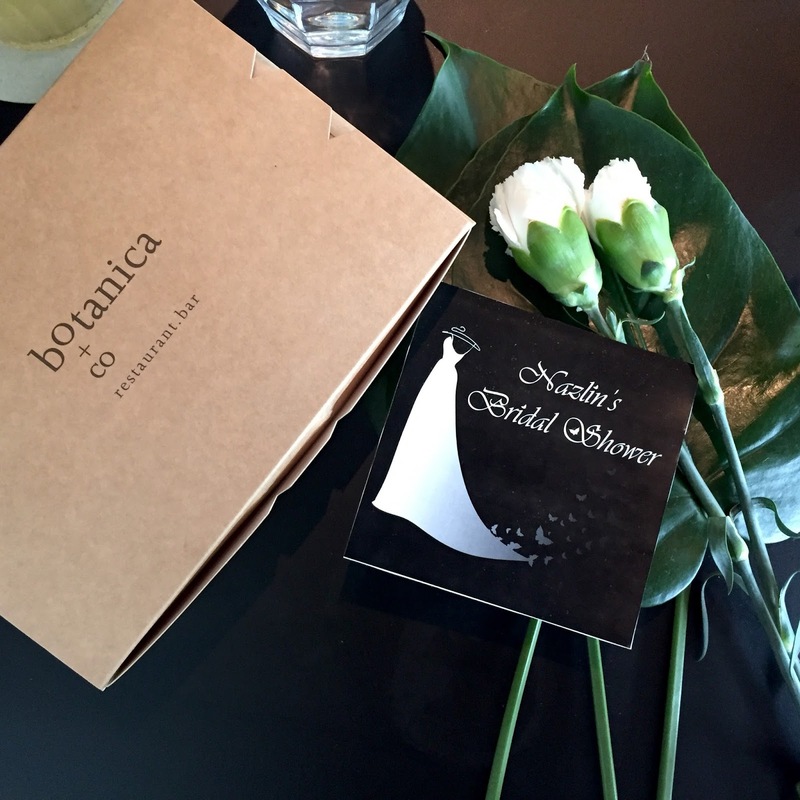 We chose Botanica+co as Nazlin's bridal shower venue . 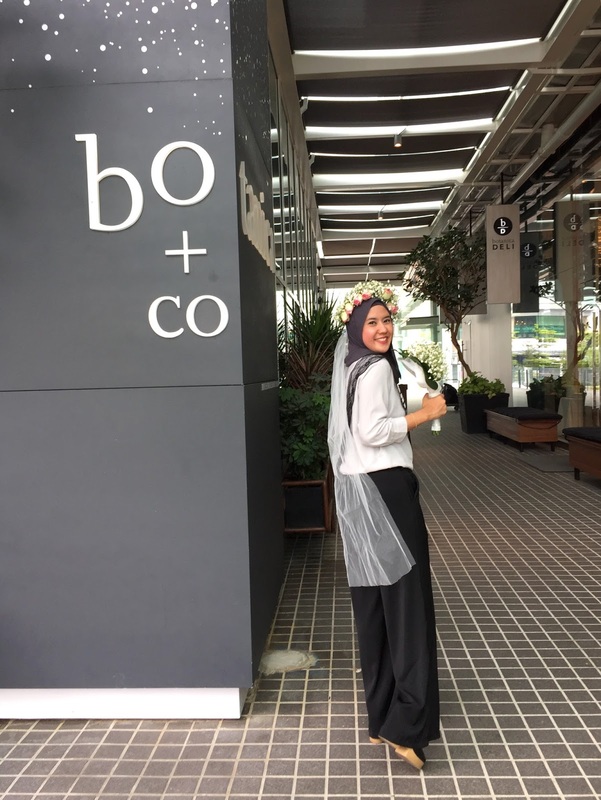 The restaurant situated at Bangsar South . 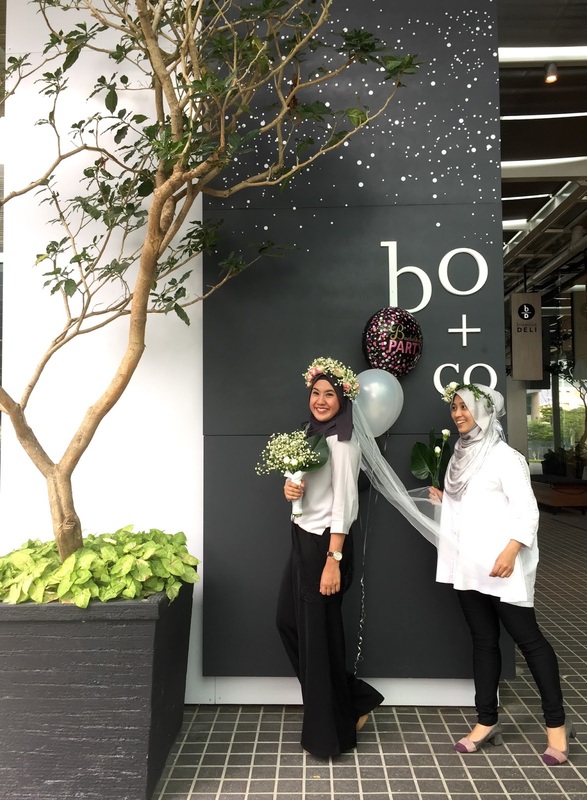 Botanica+Co restaurant theme are very suitable with our bridal shower theme . I don't know either it was a coincidence or not . hihihi . 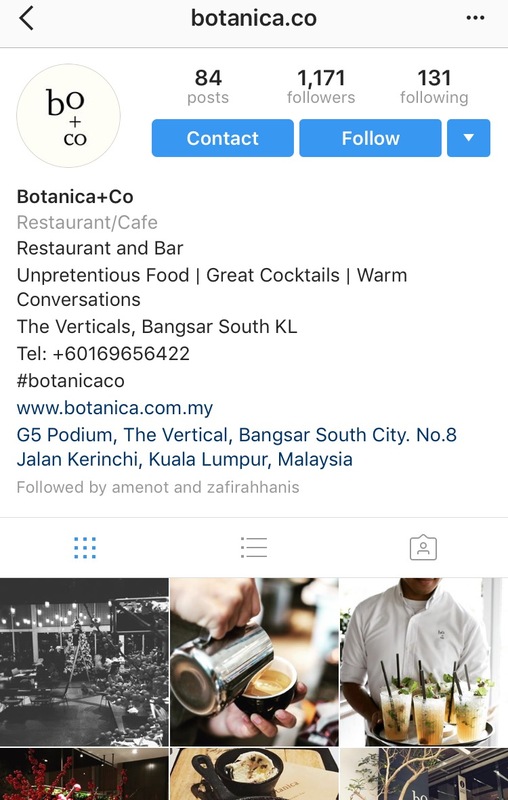 I've never been to Botanica+Co before but I really like the restaurant concept which is simple yet nice . 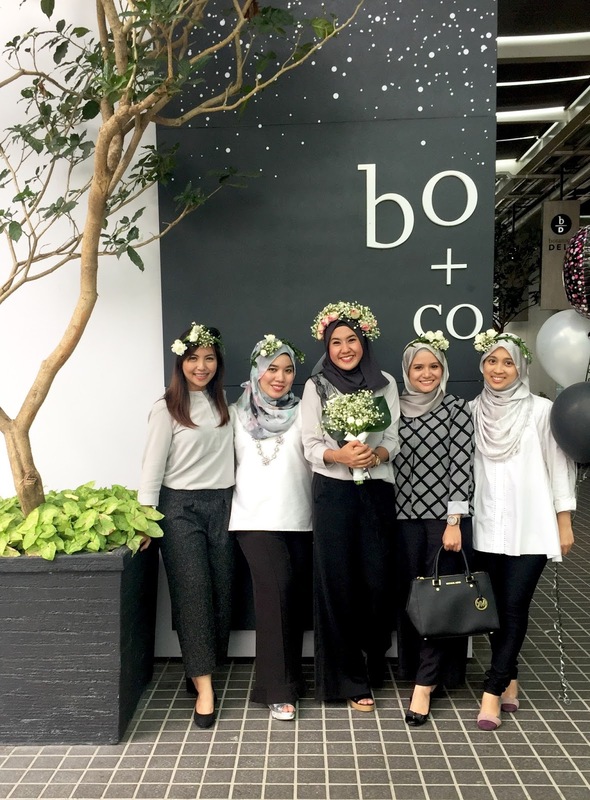 You can check it out Botanica+Co official website here . 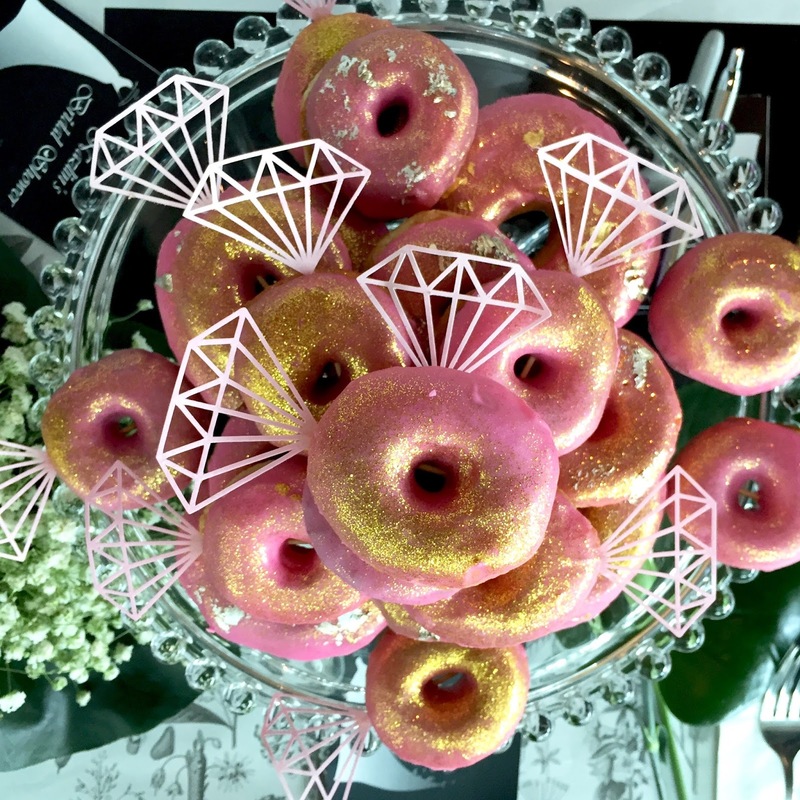 I've ordered a donut diamond ring from Smooch.KL . I choose pink donut with a touch of gold and silver goldas . 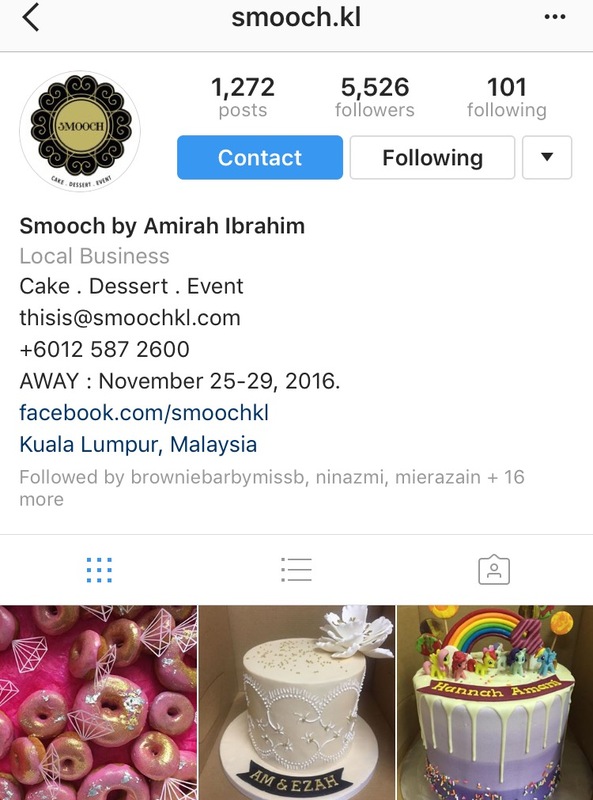 To know more about Smooch.KL , check it out her Instagram account . Pizza's that we ordered . So yummy!!! 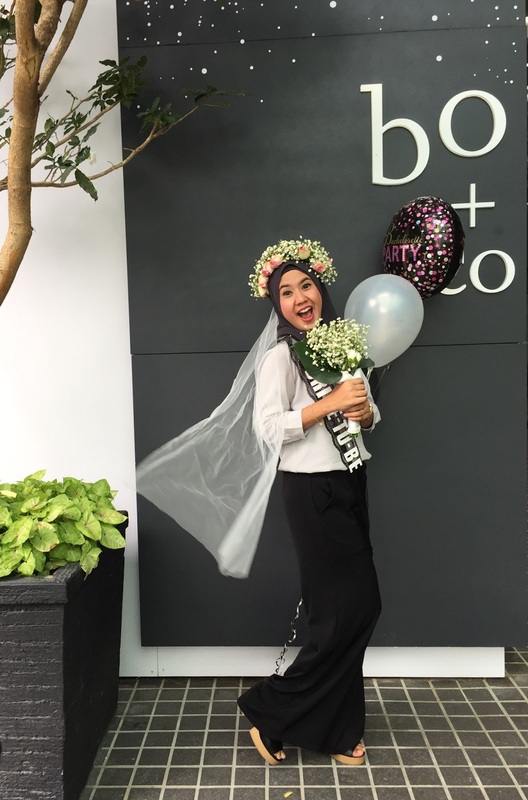 The happiest bride-to-be in action . 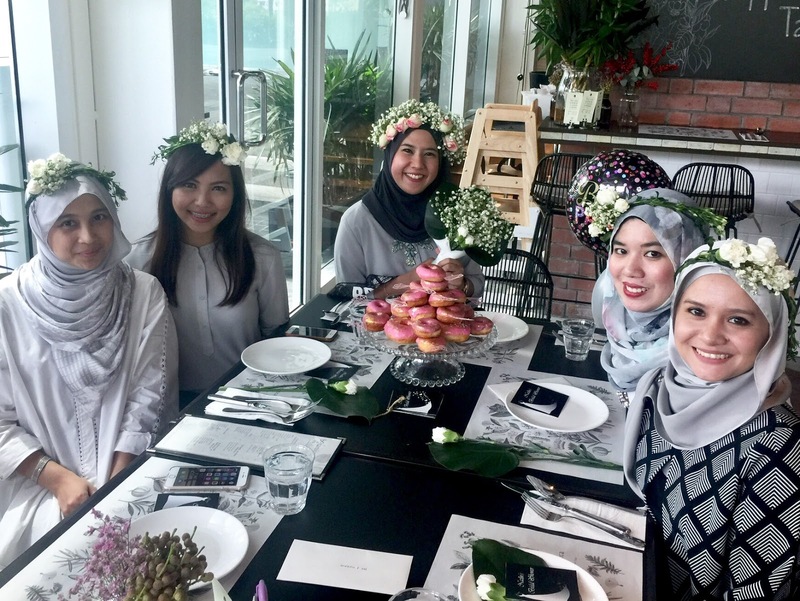 Us with the beautiful bride-to-be . Nazlin's close up shot . 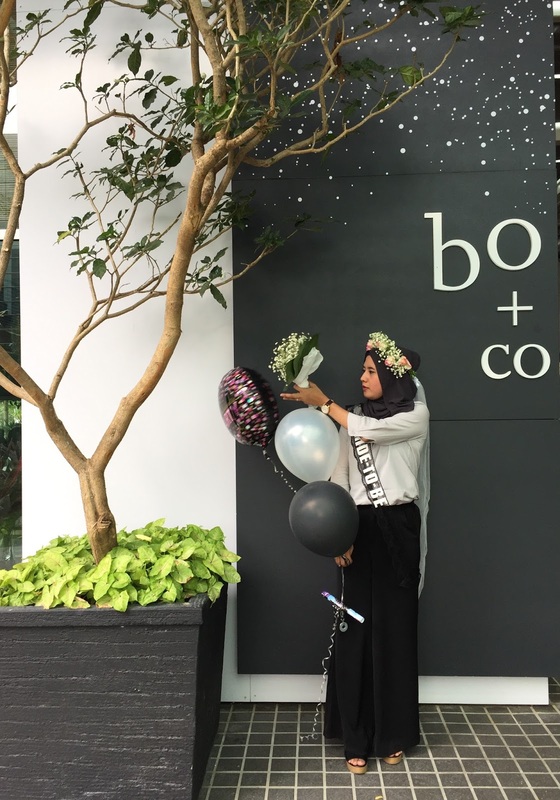 It was a simple event but full with beautiful memories . yes dear . 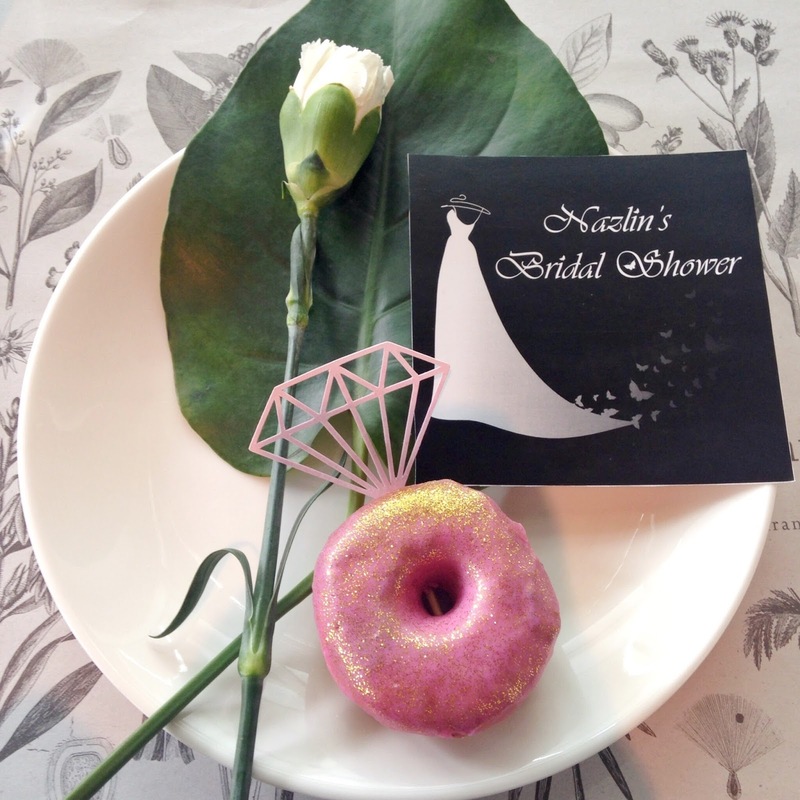 The donut beautiful and the taste also delicious . Even , the smell of the donut so yummy . 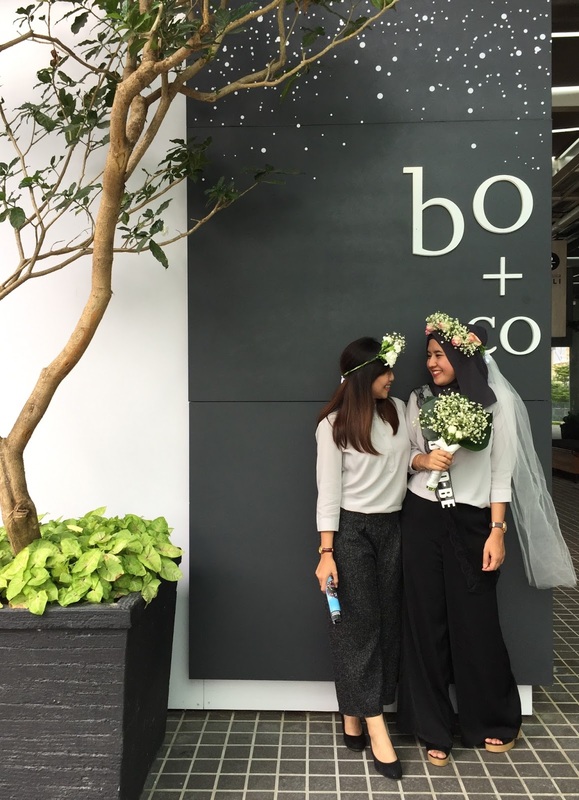 hihii...seri pengantin tue yank . 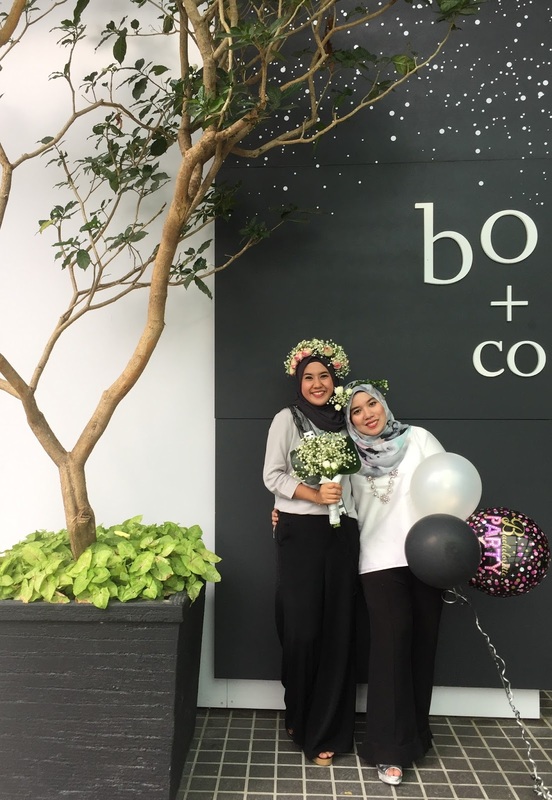 kannn...lama sgt dah kita2 tak ada bridal shower . 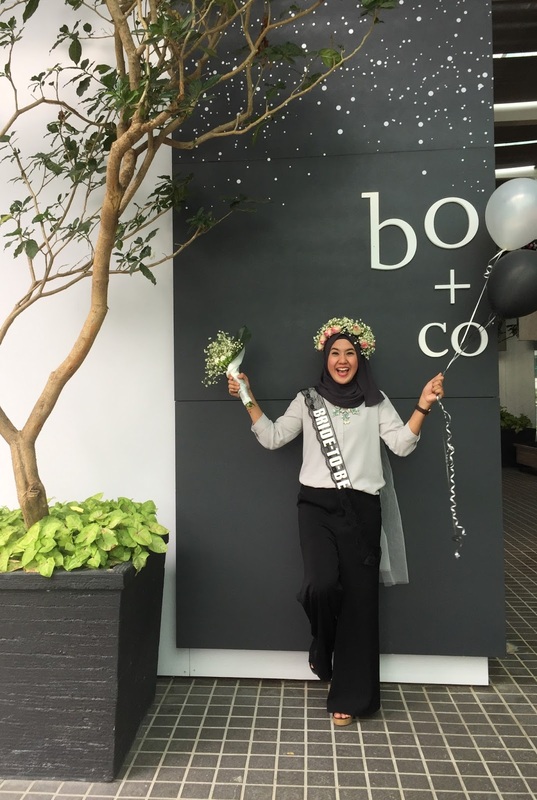 Waaaahhhh sangat meriah, I like the theme as well..